Samsung might not be coming up with a premium version of their Galaxy S5 but according to a report, the company might be working on a mini version of Galaxy S5 as an upgrade to the last years Galaxy S4 mini. Judging from the specs provided by the source, the mini version of Galaxy S5 looks quite good as compared to Galaxy S4 mini. The Galaxy S5 mini is said to have a 4.5 inch screen which will be supporting a resolution of 1280 x 720P with Super AMOLED display that would be quite a huge upgrade from 4.3 inch screen with a resolution of 540 x 960 pixels found on the Galaxy S4 mini. A 720p screen on a mini smartphone is a necessity nowadays after Sony raised up the bar with their Xperia Z1 Compact. Galaxy S5 mini is also said to be running a quad core SOC from Qualcomm though there were no details about the model of the SOC used. Judging from what other companies are using on their mini variants, the Galaxy S5 might be equipped with a Qualcomm Snapdragon S4 processor either clocked at 1.2 or 1.5 GHz. The device is also said to have 1.5 GB of RAM with 16GB of internal storage that can be upgraded via a SD card. 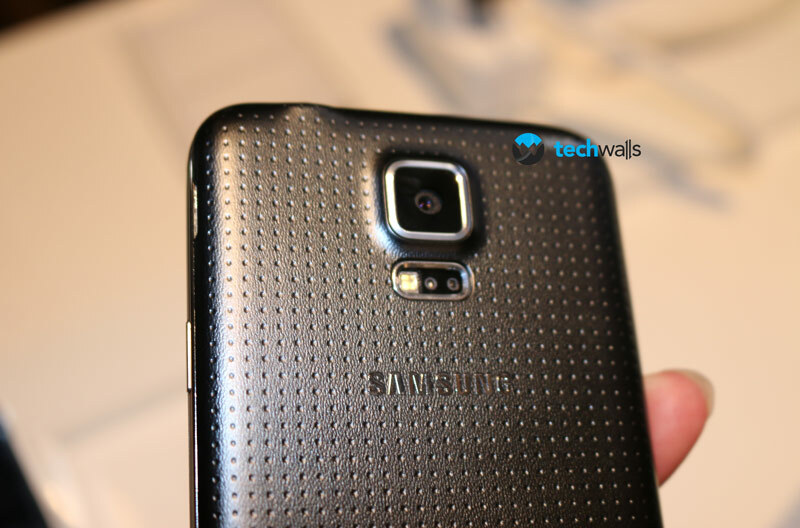 Galaxy S5 mini might come with an 8MP camera at the back and a 2MP camera on the front and all of this will be powered by a 2100mAh battery. As it’s a mini version of Samsung’s flagship device, so we are guessing Samsung won’t include a heart rate monitor or a finger print scanner. Hopefully Galaxy S5 mini will be running the latest version of Android Kitkat 4.4.2. The device is said to come out this June. What do you guys think about this? Will you get a Galaxy S5 mini if Samsung was planning to release one or will you stick with the higher end Galaxy S5? Share your opinions down below.